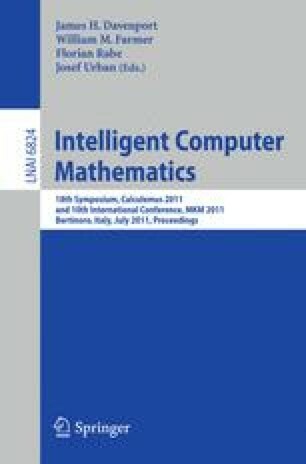 LATIN aims at developing methods, techniques, and tools for interfacing logics and related formal systems. These systems are at the core of mathematics and computer science and are implemented in systems like (semi-)automated theorem provers, model checkers, computer algebra systems, constraint solvers, or concept classifiers. Unfortunately, these systems have differing domains of applications, foundational assumptions, and input languages, which makes them non-interoperable and difficult to compare and evaluate in practice. The LATIN project is supported by the Deutsche Forschungsgemeinschaft (DFG) within grant KO 2428/9-1.